Grimsby Public Art Gallery: 2017 Wayzgoose Anthology! The 2017 Wayzgoose Anthology just arrived and it is GORGEOUS! A huge thank you to Van Huizen Bookbinding in St. Catharines for another phenomenal job! 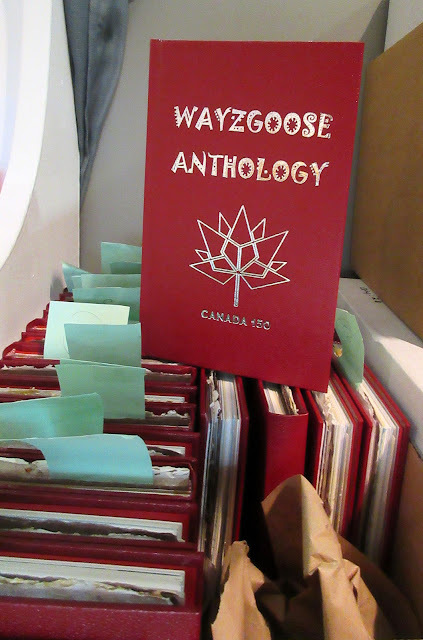 See the anthology in person at Wayzgoose this Saturday, April 29, 9am-5pm ~ Admission is FREE! We have 46 exhibitors showing and selling their work, including handbound books, handmade paper, printmaking, greeting cards, hand-carved stamps, and MUCH MORE! Art House Café Lecture Series: April 21st!